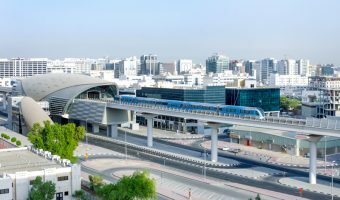 This Dubai Metro station serves passengers using Terminal 1 of Dubai International Airport. The station is on the Red Line. 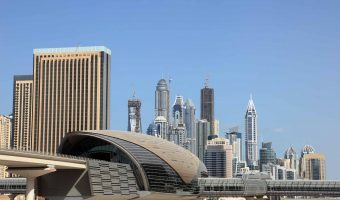 If offers a quick and direct route to popular destinations such as Dubai Marina, the Dubai Mall and Burj Khalifa, Business Bay, and Al Barsha/Mall of the Emirates. Passengers can transfer to the Green Line at Union or BurJuman. Adjacent stations on the Red Line are GGICO and Airport Terminal 3. Yalumba (0.3 miles) - Buffet restaurant at Le Meridien Dubai. Offers a wide range of dishes from around the world. Themed evenings (Latin, Mediterranean, British, seafood etc.). Fabulous Friday brunch. M's Grill (0.3 miles) - Steakhouse at Le Meridien Dubai. Indoor and outdoor dining areas. Meridien Village Terrace (0.3 miles) - Al fresco restaurant at Le Meridien Dubai. Offers cuisines from around the world. Live entertainment. Seafood Market (0.4 miles) - Established seafood restaurant at Le Meridien Dubai. Choose your fish, cooking style (sautéed, steamed, deep-fried, grilled), and flavouring. Long Yin (0.4 miles) - Chinese restaurant at Le Meridien Dubai. Specialises in Cantonise dishes. Warehouse (0.4 miles) - Collection of bars and restaurants at Le Meridien Dubai. Friday brunch, ladies’ nights, and big screen TVs showing live sports. The Dubliner's (0.4 miles) - Irish bar at Le Meridien Dubai. Friday brunch with live entertainment. Big screen TV offers live sports including English Premier League matches. Map showing location of Airport Terminal 1 Metro Station. Guide to GGICO Metro Station. 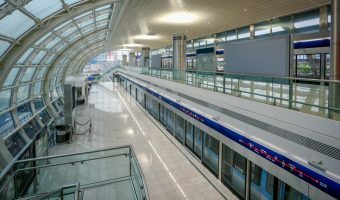 Guide to Airport Terminal 3 Metro Station.